To create a sports-related website is not that easy job but thanks to the modern sports WordPress themes that are available these days in the market. These themes include all the necessary tools that are required to build an awesome looking website perfectly. It doesn’t matter whether you’re building a sports team website or you’re part of a sports blog, the sports WordPress themes can help you to set up a modern, clean, professional looking site that will impress your site visitors. And also, the fitness centers, health clubs, sporting events, sports teams, or even just sports fans can use the premium sports WordPress theme for creating a beautiful sports website. 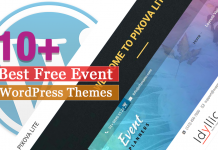 And if you are following your any of your favorite teams and want the audience to know about their achievements online, then you can use the various features of the themes where you can get connected with everyone through online. Make sure that the theme is fully responsive because you need to take into consideration the smartphone users as well. The codes should be well-organized and user-friendly where most of the website builders look for it. There are some themes that are integrated with the YouTube videos. It helps you to upload your favorite sports videos for your audience. Redy is a fully responsive and colorful premium sports WordPress theme that is designed beautifully for all kinds of athletes, sportsman, trainers, coaches, runners, sportsmen, and all healthy lifestyle people. 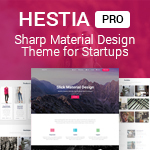 This theme is compatible with the powerful Elementor to give you a chance to add more creative layouts. It perfectly works with Timetable and Event Schedule, The Events Calendar. 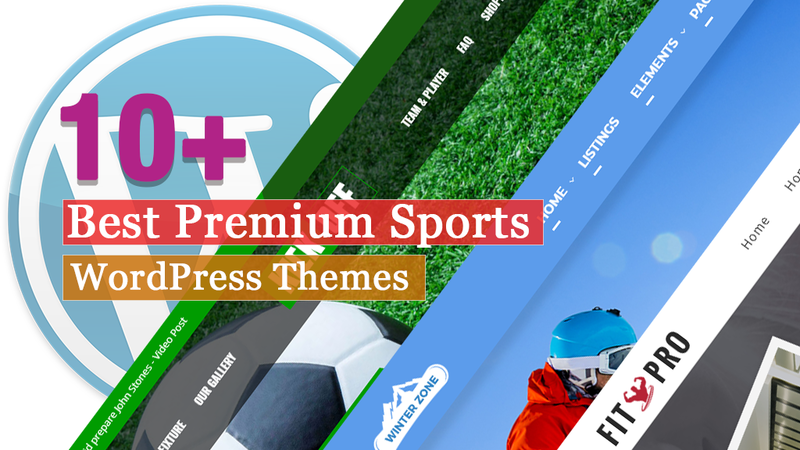 Sport is a simple and flexible premium sports WordPress theme that is perfect for sporting clubs and community centers and social and special interest clubs. 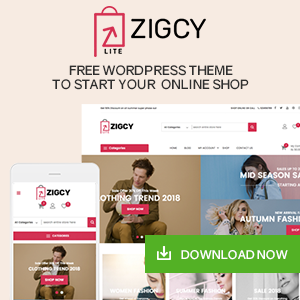 This theme comes with beautifully designed multi-page multi-purpose WordPress templates that help you to build an awesome looking website easily. It comes with many powerful and advanced features that are required to build a unique website that you are looking for. FitPro is a modern Fitness Gym WordPress theme that is beautifully handcrafted to meet the needs of gymnasiums, fitness/sports clubs, and related small businesses. This theme comes with a plethora of features that aimed at making the most modern and most complete theme in the Fitness category. 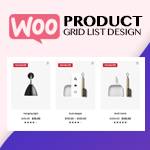 It is fully is integrated with WooCommerce and The Events Calendar plugin by Modern Tribe. SportCup is a professional multipurpose premium WordPress theme that is perfect for building any types of sports or business website. This theme is built on Visual Composer and a convenient drag-n-drop PageBuilder for WordPress that will provide you with the smoothest experience while creating your website. It looks equally amazing on all the devices from small to large. WinterZone is a well-optimized sports WordPress theme that comes with many awesome features and functions. This theme includes a detailed documentation that makes you easier to install and use the theme perfectly. Not only that you will also get an awesome support from the team if there will be any difficulties while using the theme. It includes an awesome and beautiful design that helps to make your website eye catchy and attract the number of visitors. KickOff is an awesome premium WordPress theme specifically designed for modern soccer clubs, leagues, fixture matches multiple views gives clubs, and for team and players, leagues the luxury to manage their events on their website. This theme comes with tons of layout possibilities with unlimited variations and colors and sidebars so customize your website as much as you want. Splash is a stunning premium sports WordPress theme comes with a fully responsive design. This theme includes a feature one click demo import so, make your site just like the demo with just one click. It is translation ready theme so choose the language that you like on your site. The theme has more than 700 Google fonts so choose the one that you prefer on your website. Pedona is a fully responsive premium sports WordPress theme that supports the latest WooCommerce theme with modern design and clean code. This theme offers 5 premade layouts to give you the best choices so, choose the one that you like. It includes plugins and features to provide you more capacity to develop a website. The theme comes with a powerful option that allows you to create custom structures without having HTML/PHP knowledge. Asana is a flat and modern premium WordPress theme suitable for any type of sport and dance studios, gyms, health clubs, event agencies and a lot more. This theme includes detailed documentation that helps you to install and use the theme perfectly. It is well optimized and translation ready so use the language that you like on your website. FitnessGYM is a perfect WordPress sports theme that is ideal for fitness, gym or any other sport-related websites. This theme is loaded with awesome features and has powerful customization options that are built with HTML5 & CSS3. It is compatible with all the major browsers that are well tested. The theme includes a feature one click demo install where you can easily create a site just like the demo. Winner is an outstanding premium sports WordPress theme that is designed beautifully for building sports related websites. 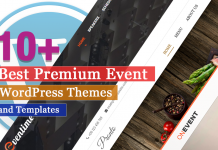 This theme includes unlimited sidebars and colors so choose the one that you prefer on your site. It is a fully responsive theme that supports all the screen sizes from small to large. The theme has a clean and secure code that is understandable by non-coders easily. This theme is fully integrated with social media icons that helps to connect with the visitors. Here, I’ve tried to list down some of the best premium sports WordPress themes that comes with many amazing features. 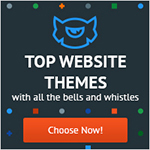 All the above themes are carefully handpicked and well tested. 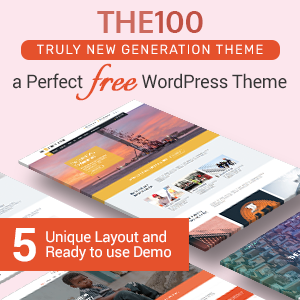 If you have already used these themes then feel free to share us your experience. And have any queries with the theme then you can comment us below. Hey Buddy!, I found this information for you: "10+ Best Premium Sports WordPress Themes". Here is the website link: https://wpallclub.com/best-premium-sports-wordpress-themes/. Thank you.